Chichester District Council is looking for a development partner, as part of plans to introduce around 1,000 new homes in Tangmere. The site in Tangmere was identified as one of the strategic development locations under Chichester District Council's Local Plan to deliver much needed housing to the area. The district council is working closely with Tangmere Parish Council on this project and is using the parish council's Neighbourhood Plan to help shape the new development. Plans include introducing a new school; a small retail hub; open spaces; and a cycle path connecting to Chichester. The aim is to unite the existing village with the new development by placing the school and the shopping hub in the centre of the two areas. "This development will provide vital housing, helping to keep people local," says Cllr Susan Taylor, Cabinet Member for Planning at Chichester District Council. "It is important that we plan and identify where housing will go, because if we don't do this there is the risk that developers will directly submit planning applications and local people will have no control over it. Our communities would also be at risk of losing out on developer contributions which go towards important infrastructure, including affordable housing. By the time this development is completed, around £2 million will go to Tangmere Parish Council to help support and enhance the local community. This is one of many reasons why the Local Plan and Tangmere's Neighbourhood Plan are so important. "Housing is so desperately needed in our area and so this is an important site. Thirty per cent of the development will be made up of affordable housing. The development will also provide funds for a brand new, state of the art school, which will provide even more opportunities for the area. Most importantly, the development will take account of the aspirations of the local residents because we are using the village's neighbourhood plan to help shape it. We are very grateful for the support and assistance that Tangmere Parish Council is giving us with this major project," adds Susan. Tangmere Parish Council Chairman, Andrew Irwin, says "We have taken difficult decisions when discussing the plans for the strategic site to the West of Tangmere, and recognise the conflicting needs for housing in the District and the desire to protect green fields. "The decision to embark on a Neighbourhood Plan and the resulting document that supports development in Tangmere is evidence of a co-operative approach that gives the village a significant input into the shape and detail that will emerge from the Masterplan. 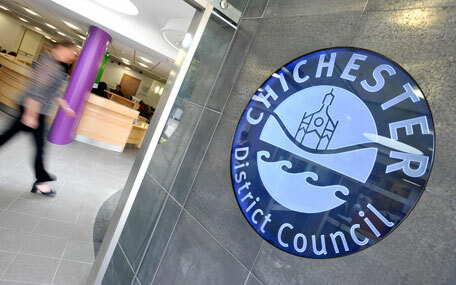 "The Parish Council supports the decision of Chichester District Council to press ahead with the Developer selection, and looks forward to being closely involved in the process of delivering the vision that the community expressed in the Neighbourhood Plan." The Local Plan helps to meet the council's identified housing and employment needs and deliver a range of housing and job opportunities over the next 15 years. Every council is required to have a Local Plan. As well as helping to protect the area by controlling development, it also helps to make sure that residents and their families can continue to live and work locally; it helps support local businesses and assists them to grow; and it helps provide adequate services, travel choices and community facilities.